Google is one of the most innovative companies in the world, because it actively pursues a culture of innovation. Google for years has worked to ensure that innovative ideas are continually flowing in order to position the company for success well into the future. 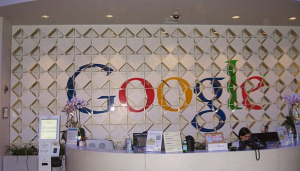 What is Google doing, and how can we learn from their innovative culture? Innovation comes from anywhere. At Google, this principle emphasizes that innovation is in nobody’s job title, but is everyone’s responsibility. Moreover, ideas can come from anyone in the organization, regardless if they are top-level executives, employees who work in roles or departments not typically associated with innovation, or employees on the “bottom” of the company’s totem pole. For example, at Google it was their Google Health product manager who suggested that the company optimize information on suicide prevention hotlines whenever a related search was conducted. As a result of this innovative suggestion, Google’s search information results will automatically give a suggestion of where to call for help (i.e., the National Suicide Prevention Lifeline and its free, 24/7 phone hotline) when a user makes a Google search seemingly focused on suicide. A popular innovation myth is that innovation only happens within a company’s engineering and R&D departments. To the contrary, it is often the employees on the front lines who come up with the most innovative ideas. Professional expertise alone doesn’t lead to innovation and new product development; life experiences are just as valuable, if not more valuable to the innovation process. For example, AT&T’s exceptionally popular Drive Mode app (a mobile app that can be set-up to automatically send a customizable reply to incoming messages when the vehicle starts moving at 25 mph, in order to reduce a driver’s temptation to look away from the road at his or her incoming text messages) was the innovative brainchild of an AT&T call center employee who had been personally affected by the dangers of texting-while-driving. 3. Think 10x, not 10 percent. This Google principle is about striving to improve something by a tenfold difference rather than just improving it by 10 percent. In other words, making a revolutionary change rather than an evolutionary change. This innovation driver comes from Google cofounder Larry Page’s preference for radical innovation over incremental innovation. At Google, this 10x principle is what drove revolutionary projects such as Project Loon, where Google used high-altitude balloons to bring Wi-Fi connections to remote areas.Keep in mind that whereas this lofty think 10x principle may be appropriate for mega-companies such as Google, it’s not necessarily appropriate for all companies. Revolutionary innovation is a great thing to strive for, but it’s not the only successful type of innovation. As discussed in a previously published blog on this site, innovation doesn’t always have to be about reinventing the wheel, it can also be about simply improving the wheel. Incremental innovation—small-scale improvements that make a product better or more marketable—can drive successful, profitable innovation at your company. Also, incremental innovation—as opposed to revolutionary innovation and massive step-change innovation—makes the idea of innovation considerably less daunting and more accessible to a wider range of people.Some examples of incremental innovation include Gillette’s razors, which began with just a single razor blade. As time passed, Gillette then incrementally innovated its razors by adding additional blades and different features that better met customer needs and improved the product. Another example of incremental innovation is Coca-Cola’s brand-line extensions such as Coke Zero and more recently, Coca-Cola Life.Most companies stick with focusing on incremental innovation because it requires less risk and less investment. Especially when there is a proven track record of a company’s new product development process working in the market, incremental innovation is the safe choice. However, keep in mind that many companies are potentially missing out on massive rewards because they refuse to innovate beyond incremental innovation. 4. Bet on technical insights. Every organization has its unique insights—and betting on these unique insights can lead to major innovation. It was Google—not the automotive industry—that came up with the idea of the self-driving car. Google was able to make this major innovation because they already had the unique insights and building blocks in place to engineer a self-driving car. Google was able to tie its various information assets (data gleaned from its existing Google Maps, Google Earth, and Street View cars programs) to create the all new product entity of the self-driving car.At your business, think about whether your business has any unique insights or information assets that can be used and combined to innovate something new. Read Google’s next five here.